Color: Yellow, Red, Green, Blue, etc. 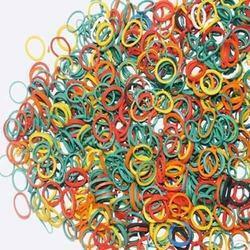 Coordinating with various developments taking place in the industry, we are indulged in offering Colored Rubber Band. Appreciated owing to their reliability, these rubber bands are manufactured by us according to the modern evolution in this industry. 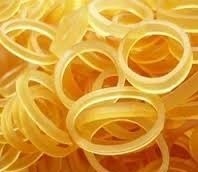 Silky Rubber Bands are good quality bands made of natural latex in Kerala. Single coloured glossy bands. The size varies from half an Inch to 4 Inches. We are experienced in making good quality Rubber Bands since 1985. Sizes: 1" 2" 3" 4"